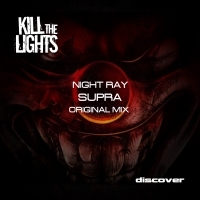 Next up on KTL is Supra by Night Ray, a cool slab of progressive melodic trance that oozes warmth from every beat together with stylish melodies and lush pads. A definitive old school feel to this one which ticks all the boxes, the most important box of all being the one simply titled "beautiful trance". 'Supra' is available now from Beatport and iTunes.